The first ever STYLECON, held last September 10 where bloggers, influencers, and industry insiders were treated to informative and inspiring talks. The event brought together today’s brightest young names in the different fields of style, such as makeup, couture, styling, and modeling. Talks revolved around style and beauty in the age of social media and digital shopping. An interesting topic during the discussion was the effect of social media on fashion trends and individual style. Most of the audience, comprised of bloggers and online influencers, realized that even the experts in individual fields were always on the lookout for inspiration from other people. In a truly social world, we inspire each other with our own unique style. Nowadays social media is an avenue for people to express their passion for fashion through images, and maybe even live their passions as well. “I have to thank the internet because social media gave me my big break as a model,” was Kelsey Merritt’s sentiment on how her fame sky-rocketed due to Instagram. From her stylish clothes to gorgeous make-up, Kelsey’s Instagram account garnered enough traction that an NYC-based agency signed her as one of their models. The roundtable discussion was followed by a makeup tutorial sponsored by L’Oréal. 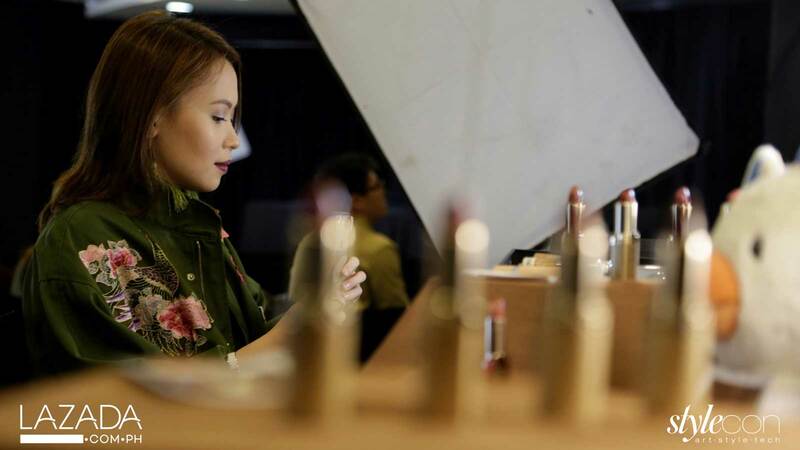 Angela Yeo,celebrity make-up artist and owner of beautylista.com, showed the audience how to achieve an easy “office chic” look – an everyday dilemma faced by majority of working women. The tutorial was broadcasted through Facebook LIVE via Lazada’s account. As a vlogger, Angela stressed the importance of product reviews when shopping online. With more and more people passionate about fashion, Lazada has continually increased inventory with a wide assortment of fashion and health & beauty products. Lazada believes in empowering people to find their passion from the comfort of their homes, be it in fashion, photography, make-up, or the arts. Check out new and exciting finds by visiting www.lazada.com.ph.